Born in Freiburg, Germany. Coming from a musical family, he worked as a flutist in various state music schools in Europe. From 1982 to 85 he had education at the teachers training school for F.M.Alexander Technique Basel, Switzerland. 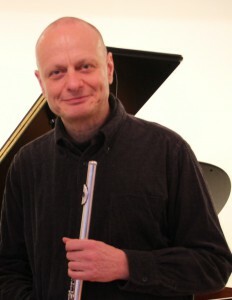 Lucas Lorenzi had significant involvement with schools and their trainings and has been instructor for the Alexander Technique at the State Conservartory of Music Trossingen and the European Parliament in Strasbourg. Intensively he taught the Technique in music performance clases to a huge variety of orchestra players, chamber musicians, soloists and professors and has given many seminars and courses. The class of Lucas Lorenzi has gained high reputation among many of orchestra musicians, soloists, music students, who aim at having progress or suffer from an occupational desease.He was certified by the London based Society of Teachers of the Alexander Technique STAT and is now an active teaching member of the japanese branch Japan’s Solidarity of Teachers of the Alexander　Technique JSTAT (www.jstat.jp).In 2004 he founded the Japan Alexander Teaching and Training Corporation JATTC. Lucas Lorenzi directs the Alexander Technique Centre (ATC) Kyoto – www.alexandertechnique.ne.jp – where private Alexander lessons, workshops and teacher training in the Alexander Technique are offered. He playes original wood and silver flutes made by the world famous masters of the Hammig family.